If your thinking of a condominium, in the Fort Lauderdale real estate market, The Grove at River Oaks at the southern end of Fort Lauderdale may be one you wish to see. 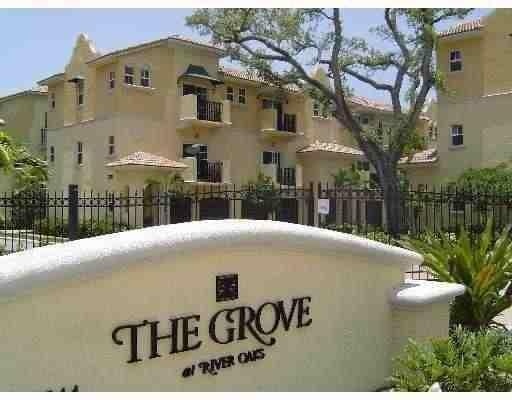 Read more about The Grove at River Oaks which is located at SW 14th Avenue of of State Road 84, Fort Lauderdale, FL. Mediterranean style three story townhomes built in 2007, The Grove has the feel of a little village in a great location just seconds from Fort Lauderdale Airport and the Port. Townhomes ta the Grove feature top of the line finishing throughout. There are both two and three bedroom models. The Grove is a pet freindly community is there is a Fort Lauderdale Dog park nearby. At Eric Miller and Associates, "We're here to help" with your next Grove at River Oaks purchase or sale. Contact us directly at (954) 383-8170.